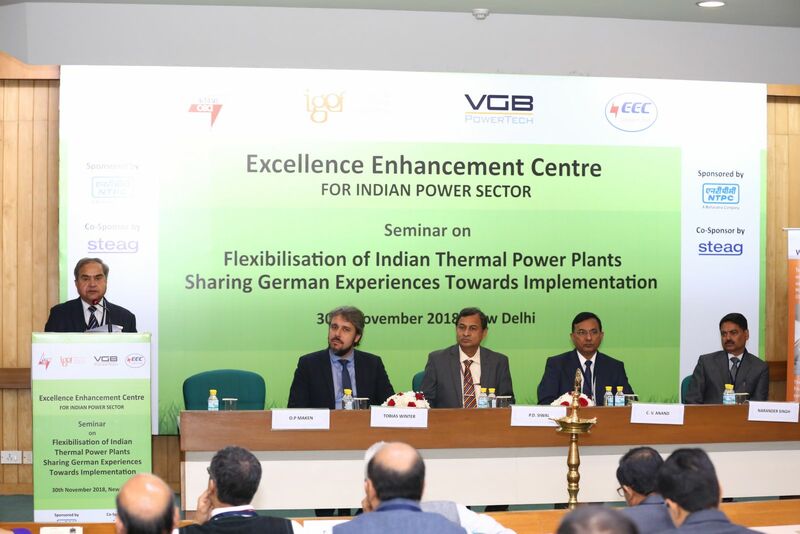 Home | Events | EEC & IGEF organized a Technical Seminar on " Flexibilisation of Indian Thermal Power Plants -Sharing German Experiences Towards Implementation " on 30th November, 2018 at New Delhi. Flexibile Operation of Coal Fired Power Plants in Germany. Enabling Flexibility: Thermal Flexibility Studies and Condition Monitoring. Flexibility Solutions and Implementation in Thermal Power Plants -The view of a German Utility. Panacea for Flexible Operation of Coal Fired Thermal Power Units -NTPC Ltd.